In the simplest of forwards, the goal of this popular translation is stated as follows: “to adhere as closely as possible to the original languages of the Holy Scriptures, and to make the translation in a fluent and readable style according to current English usage.” The New American Standard Bible, or NASB, is based on the American Standard Version of 1901, still highly regarded for its accuracy. This modern revision has been widely used and appreciated by many since it its publication in 1971. 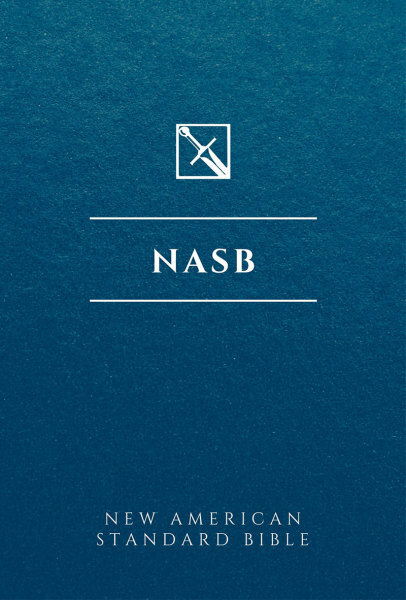 Olive Tree's electronic version of the NASB is the updated edition of 1995. From the Lockman Foundation. If you are interested in a Bible that includes Strong's numbers, try NASB with Strong's Numbers also available from Olive Tree. "The NASB is 'my' Bible, the finest and clearest of translations for inductive study. You can be sure this is the translation I recommend above all others." "The NASB is an excellent translation that seeks the closest possible verbal equivalency." "The New American Standard Bible has set the standard for faithful Bible translations for a generation. It is the favorite of so many who love the Bible and look for accuracy and clarity in translation. The New American Standard Bible should be close at hand for any serious student of the Bible. I thank God for this faithful translation." "I believe the NASB is the most accurate translation thus far. It's my Bible of choice, and I highly recommend it for all pastors and seminary Bible students."